This luxury resort condo is located within Westgate Resort at Canyons Resort. This large one bedroom sleeps up to four guests and has two full bathrooms. The gourmet eat-in kitchen is nicely appointed with granite countertops and stainless steel appliances Each bathroom hosts steam showers, the perfect addition to any ski retreat. Two flat screen TV’s with DVD players are on hand for relaxing nights in. The mountain contemporary living area has a stone fireplace and adjacent deck with spectacular views of the surrounding mountains. A washer and dryer are in the unit as an added convenience. 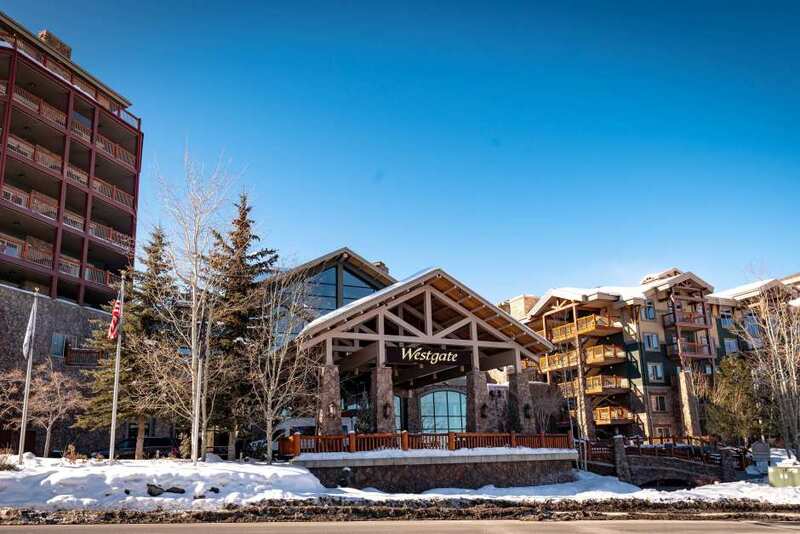 You’ll enjoy being only steps away from the lifts at Canyons Resort. Resort staff will happily meet you at the lift with your ski equipment and assist you with it at the end of the day by stowing it in your secure ski locker. A ten minute drive will deliver you to Main Street in Park City where you can enjoy the renowned shopping, dining and nightlife. The common area offers guests a pool, hot tub, and state-of-the art fitness center. A parking garage is on site should you choose to bring a vehicle.